President & Founder, Heiberger & Associates, P.C. Jamie Heiberger is widely recognized as a leading female attorney in the Greater New York City real estate industry, having achieved unprecedented success while still in her mid-30s. That success derives from her ability to simultaneously think like a businessperson and a lawyer. Born and raised in Jericho, New York, her interest in the legal intricacies of the real estate market began at an early age. In 1990, after graduating with honors from the University of Michigan with a Bachelor of Arts in political science, she attended Brooklyn Law School, where she earned her Juris Doctorate in 1993. She was admitted to the New York State Bar in 1994. While still in law school, Jamie joined Lindenbaum & Young in Brooklyn Heights, a longstanding, well-respected landlord-tenant firm, where she assisted both in court and in the office, translating the vast scope of legal knowledge she had amassed into practical, hands-on experience in the complex New York real estate market. Jamie then moved with one of the firm’s partners to his successor firm in Manhattan, Sperber, Denenberg, and Barany, where she was a senior associate, handling heavy court work and where she started handling both contracts and closings. In 1996, at just 27 years old, has developed a strong passion for commercial and residential real estate, Jamie embraced the challenge of striking out on her own. 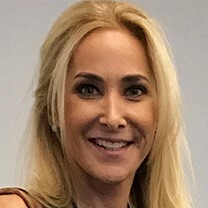 That year, she founded Heiberger & Associates, P.C., a real estate law firm focusing on two major areas; 1-representation of commercial and residential building owners and management companies in all landlord-tenant legal needs; and 2- representation of lenders, Purchasers, and Sellers of multifamily properties as well as individual cooperative & condominium units. Founding her firm on the fundamental principle that—in both business and life—the ability to quickly assimilate and act on new information is essential to growth, Jamie has expanded Heiberger & Associates over the last decade into a full-service real estate, litigation and transactional law firm. Nine full-time lawyers and 15 support-staff employees are separated into two Divisions; Landlord/Tenant and Transactional. To date, Heiberger & Associates has achieved significant success conducting litigation and providing legal advice for a wide variety of real estate transactions for residential and commercial properties. The firm has also represented major owners and developers, assisting them in the negotiation and eviction processes to remove both commercial and residential tenants to make way for new developments and condominium conversions. In 2008, Jamie set up a separate closing division to represent the sponsor in the sell-out of a large downtown Manhattan condominium. Jamie believes it is important to stay active and involved outside of the office as well. She demonstrates her commitment to the Greater New York City community through membership in the Community Housing Improvement Program, a trade association representing more than 2,500 apartment-building owners. CHIP has been a leading voice in city and state housing policy for nearly four decades on issues such as lead paint, property taxes, water rates, and rent regulation. Jamie is also a member of the Real Estate Board of New York (REBNY), the Association of Real Estate Women (AREW), the New York State Bar Association (NYSBA), and NYCREW. Additionally, Jamie is also a good member of The Ruby Peck Foundation which supports children’s education. Jamie recently became a State Court Appointed Receiver and Attorney for Receivers. After residing in New York City for over 20 years where she raised her twins, son Gavin and daughter Morgan, Jamie and her Husband Todd Harrison together with their daughter Ruby have moved to Port Washington on Long Island. As busy as she is helming a major metropolitan law firm, Jamie’s family is her number one priority. While she’s accessible to her clients round the clock, modern technology allows her to always be available for clients and family without missing a beat.